One of the greatest ironies in life is that many women know exactly what kinds of positive changes and lifestyle habits are healthy for them, but they struggle to actually put these into practice. Menopause, however, brings with it a special time to evaluate different facets of life, which can help women to determine what aspects of life bring pleasure, which ones need work and where changes can realistically be made. For some women, menopause signals the time to stop ignoring poor lifestyle habits and to finally take the plunge to make important changes that are beneficial to well-being. For many women who have been smoking since their teenage years, quitting smoking has been an ongoing battle. Others have put off making this change because they feel they need their cigarettes to handle stress and provide relief each day. 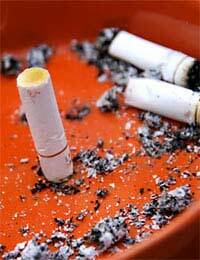 It is no secret that cigarettes are highly addictive, as any person who has smoked can verify. Yet, for some women, menopause brings with it new health challenges and physical changes that bring up the question of smoking once again. As your oestrogen levels decline, you may notice that your skin is less firm and elastic as it once was prior to menopause. Women who smoke can show effects from smoking very early on, but the menopause years can make the physical changes far more pronounced in smokers. As superficial as it can seem, this ageing in the skin can be a trigger for some women to give up cigarettes during the menopausal transition. Other women will notice that an illness such as a common cold will persist for longer. In this way, your resilience to smoking over the long-term may now – during menopause – begin to be noticeably lower, which again can prompt the decision to quit smoking. One of the most positive changes you can make is to strengthen your relationships with your partner, family and friends as you go through the menopausal transition. Some women find that the mood swings of menopause leave them making hurtful comments to their loved ones. Others might withdraw from their friends and find they don't want to socialise. However, now is a time when you do need these people around you for support. It is also a time in your life to consider who you value in your life and you may find that negative people have no place anymore. Starting an exercise regiment can be daunting, but the menopausal transition can mean you experience a renewed faith and hope in the concept of improving yourself physically, emotionally and mentally. Sometimes, it is when we feel the challenges of a health change during life, where we are left contemplating how to make a positive impact on our bodies and emotions. Speak to your doctor about how you can safely begin exercising and consider using this time to nurture relationships – walking with a friend is a wonderful way to get fit and share laughs. Handling daily life with poor nutrition can be a challenge in itself, particularly given the ups and downs of your blood sugar from a poor diet of junk food. However, your changing hormones during menopause can mean you need to keep your body in top form to handle the symptoms of this change of life. Stable blood sugar from regular meals and making sure you don't become dehydrated can be helpful to handle mood swings and headaches during menopause. Have a look at the website for the British Dietetic Association for nutritional information. You might find that there are many helpful tips to improve your eating habits during menopause. You can also see a dietitian, who will use the same information you find on the website for the British Dietetic Association. During menopause, you might find you are more tired than usual, so avoiding stimulants that can make you crash – such as caffeine – is similarly helpful. Increase your intake of fruits and vegetables and perhaps now is the time to take up a new hobby – cooking. You can improve your health during menopause and use the time to surprise your loved ones with your creative, healthy cooking. If you haven't yet begun to financially and emotionally plan for retirement, you should definitely consider a lifestyle management program now, as you experience the menopausal transition. While the typical retirement age today has significantly increased and women are working well into their sixties now, you need to think about your long-term goals for retiring. Consider where you want to live and how your retirement will be funded, whether that is through pensions, investments or other means of income. Menopause can be a whirlwind, overwhelming time. However, it is also a good time to not only evaluate your physical health, but your financial health as well. Positive lifestyle changes are not always easy to make but they can bring a strong sense of accomplishment. In particular, menopause brings with it so many changes that women may find it a reflective time to evaluate unhealthy lifestyle habits and plan for a healthy, wonderful future.